KATHMANDU, September 5: General public can exchange their old banknotes with crisp bills for the upcoming Dashain festival from September 13. According to the Nepal Rastra Bank, it will exchange old banknotes with crisp banknotes of smaller denominations through the branch offices of Nepal Bank Ltd, Rastriya Banijya Bank Ltd and Agricultural Development Bank Ltd.
One can get crisp bills of Rs 5, Rs 10, Rs 20, Rs 50 and Rs 100 denominations worth a maximum of Rs 20,000 per person. The central bank, however, has reduced the upper limit of cash that an individual can exchange this year. Last year, the NRB had provided exchange facility for up to Rs 32,000 per person. People outside the Kathmandu Valley will get such service from the NRB offices across the country as well as commercial banks operating note vaults of the central bank. 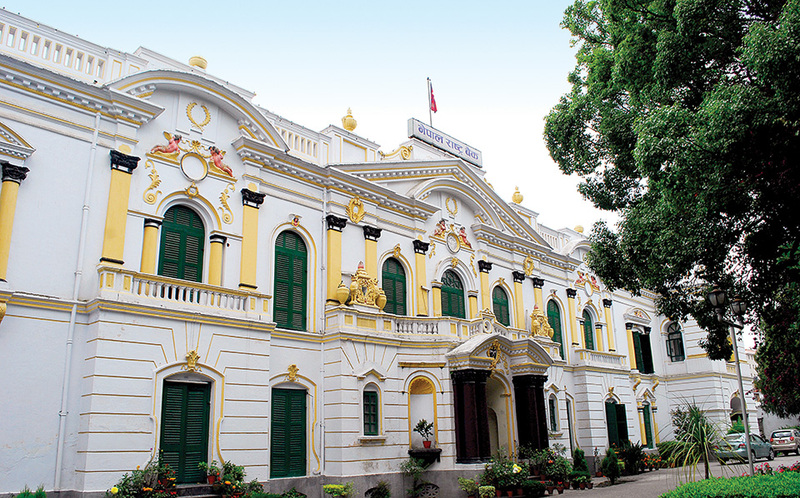 Amid concerns that the building housing the NRB's office in Thapathali after demolition could lead to shortage of crisp banknotes, the central bank has said that it has made arrangements to provide exchange service like in previous years. As the demand for new banknotes goes up in the festive season due to customary practice of offering new banknotes while conducting Pooja or receiving Tika, the central bank provides exchange service of such bills to the public. People can be seen queuing up at the bank offices to get crisp banknotes for the festival. The central bank has said that people can exchange their banknotes from NBL's New Road, Balaju, Patan Industrial Estate, Kirtipur and Bhaktapur branch offices. Similarly, such crisp banknotes will also be available for exchange through the RBBL's Singhdurbar Plaza Bhawan, Teku, New Baneshwar, Sano Thimi, Bishal Bazaar and Naxal branches, while ADBL's Gaushala, Koteshwar, Ramshah Path, Ratnapark and Mangal Bazaar branch offices will also distribute new bills to the public for the festive occasion. Similarly, NRB will also provide exchange service through its own exchange counters from September 13. People can exchange small denominated bills of up to Rs 27,000 per person at the NRB counters. According to the NRB, it would provide exchange of only 100-piece bundle of banknotes of Rs 5, Rs 10, Rs 20, Rs 50 and Rs 100 denominations. The central bank has also said that it would provide exchange facility to constitutional bodies and other government agencies from September 7 to September 15. Representatives of constitutional bodies, various offices of the government, public corporations, Nepal Army, Nepal Police and Armed Police Force, among others, can get new bank notes by producing official recommendation letters.